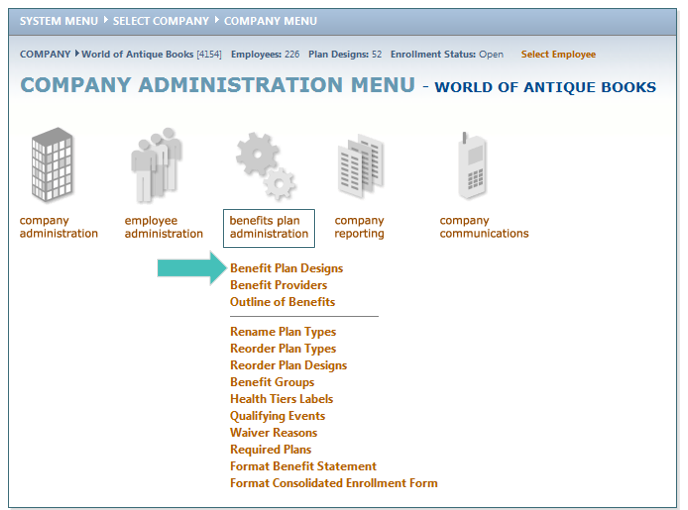 Click on Benefit Plan Administration and click Benefit Plan Design. 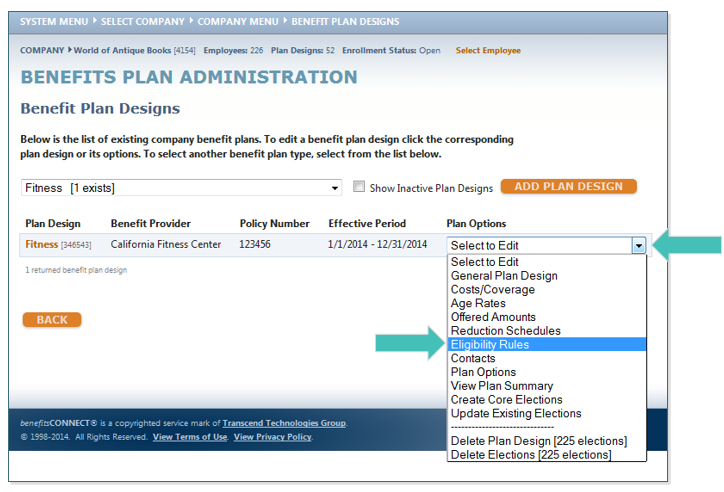 From the drop down menu, select the plan type that is core. 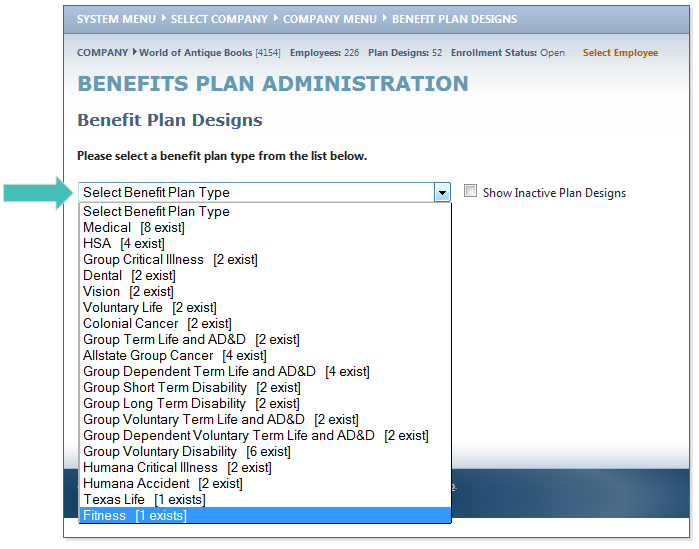 Once the plan type is selected, go the Eligibility Rules page. 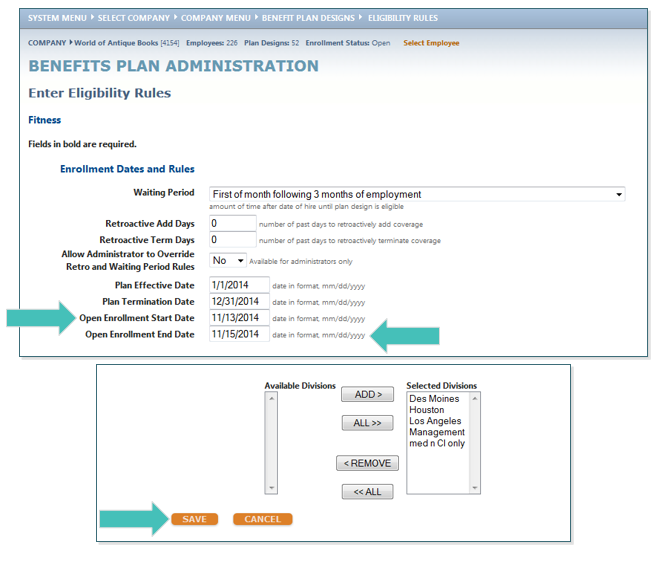 Change the Open Enrollment Start Date and Open Enrollment End Date to one calendar day in the future. Then click SAVE. 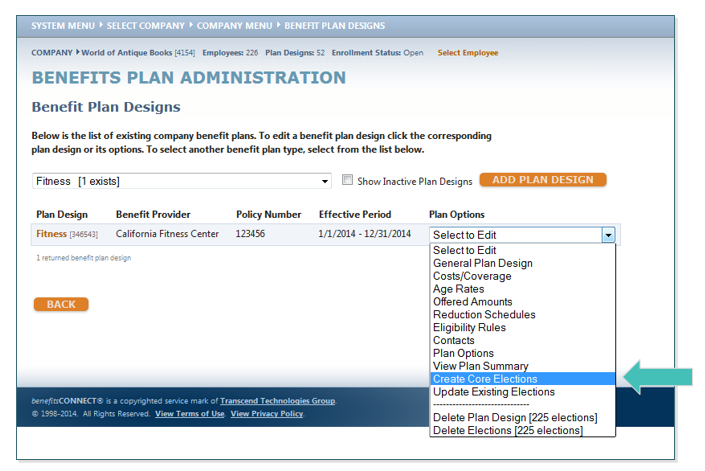 If you are updating this plan, you will see a Plan Design Changed pop-up box that will open, check the bottom option and then click CONTINUE. 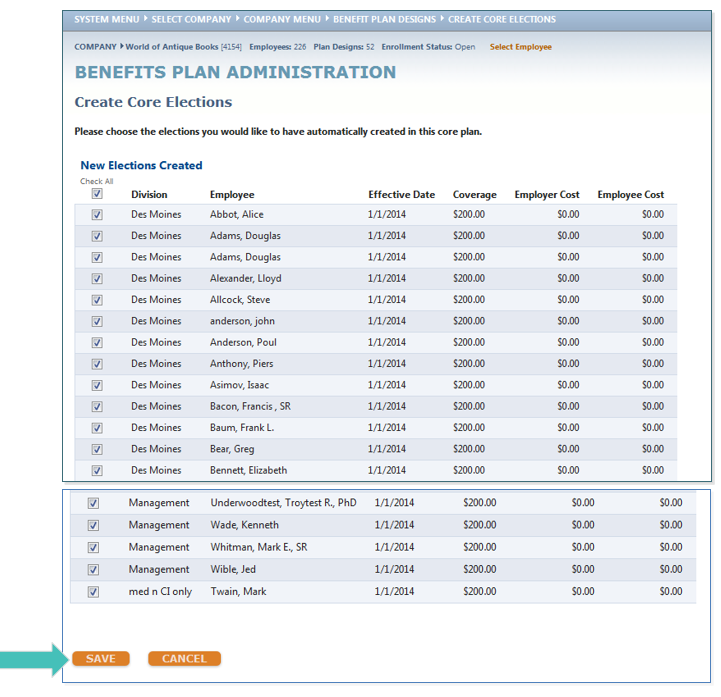 Click on the drop down menu under the Plan Options, and select Create Core Elections. 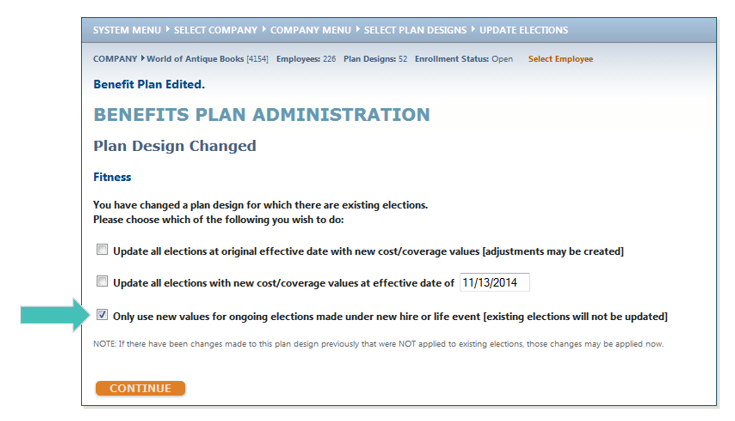 Review the list of New Elections Created that were termed. If all looks correct, click SAVE.